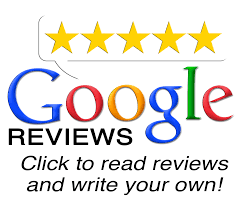 Looking for a Sundance Spa Salt Lake City, Utah residents? 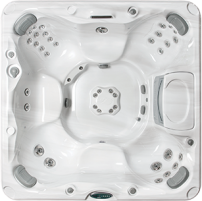 Backyards of America is proud to carry Sundance Spas, the world’s largest manufacturer and distributor of acrylic spas. 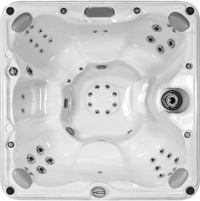 In fact, we’ve been a Sundance Spa Salt Lake City Utah Preferred Dealer for nearly 20 years! 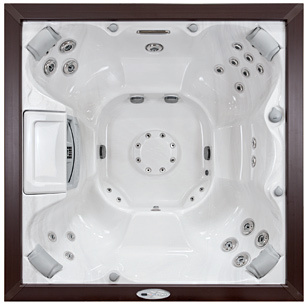 Sundance Spas have set the standard for spa design and functionality. 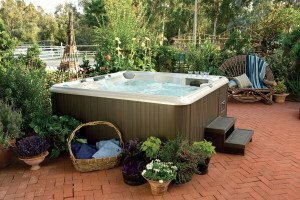 Backyards of America has the selection and know-how to help you pick the right spa model, color and design to fit your needs. Breakthrough in Hot Tub Design. The new Select Series® offers a blend of the most popular features from our 880 & 780 models and more in a new stand alone line. It’s energy efficient & has an innovative design. 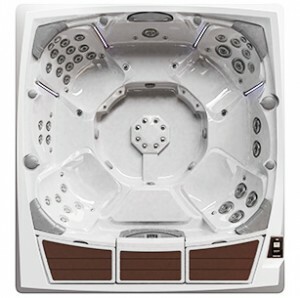 Laced with the quintessence of design and style, the 980™ Series will change the way you connect, relax and use your spa. These are the luxury spas that come to mind when planning a dream backyard. 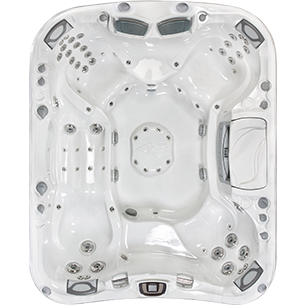 Stylish, technologically advanced, and feature-rich, each of the 880 Series spas takes the concept of “having it all” to a new level. First-year subscription included; annual subscription rates apply thereafter. Without a subscription, users have remote access to basic spa functions when in range of home network. No remote monitoring or maintenance reminders are included outside of subscription. The Sundance® SunSmart® Cloud Control is a factory installed option and includes an app for your smartphone that provides access to your spa via WiFi connection from anywhere. You can be inside your house, at work, or even on vacation and still have access to your Sundance®spa. With the SunSmart® app, you can be certain that your spa will be ready when you want. While you’re at work you can set your spa temperature to your preference so when you get home your spa is ready. The optional SunSmart® Cloud Control will also alert you when an error occurs with your spa so that preventative service can happen quickly. The app will alert your preferred dealer via email so that no time is wasted. In addition to these new features, you can still operate the basics such as turning on the jets and lights. Lastly, your app will remind you when it is time to for key maintenance like changing filters, CLEARRAY® bulb, or even your water. No more relying on your memory or notes on a calendar to keep your spa operating at its peak performance. Having the SunSmart® app on your smartphone helps you stay informed about the status of your spa, gives you access to controls and safety features and help you truly relax. The SunSmart® WiFi Cloud kit is factory-installed option beginning in January 2016 for 880™ Series Sundance® Spas.